World of Speed aims to be an educational resource for lifelong learning about the automotive industry, including informing young people about professional opportunities in the industry. Ladies and gentlemen, start your engines! It’s time to make your way to World of Speed, a celebration of motorsports, in Wilsonville. 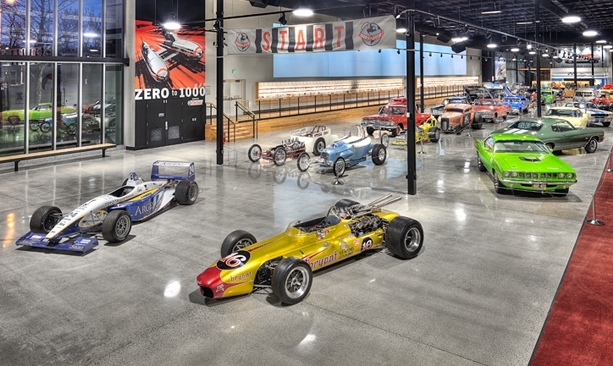 Even undeclared car buffs will find themselves wowed by the dramatic displays at this interactive motorsports museum. 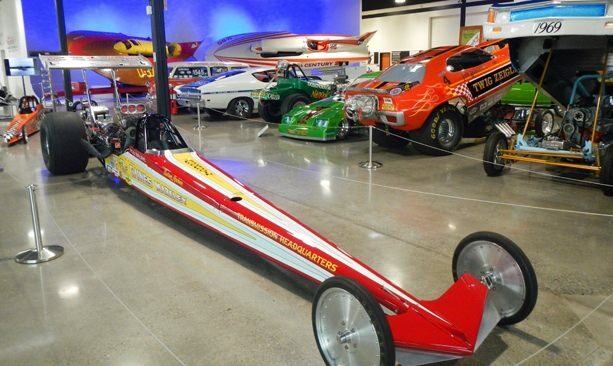 The 80,000 square foot museum (occupying a former Dodge dealership) includes exhibits of dozens of specialty cars — NASCAR racecars, classic autos, muscle cars, motorcycles and the original early-20th century racers called opened wheeled cars. 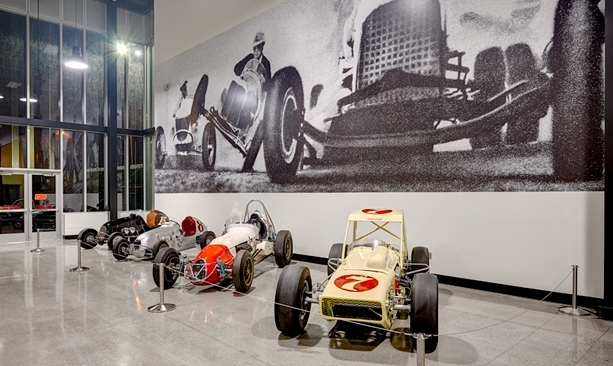 World of Speed offers permanent and changing exhibits, including racing simulators, hands-on displays and activities for little kids as well as classroom space, archives and a reading room. Exhibits include “ZERO to 1000,” which chronicles the history of land speed racing that began in 1898 when Count Gaston de Chasseloup-Laubat clocked 39.24 mph in a French electric car; “Heroes and History,” celebrating the 100th running of the Indy 500; and “Women in Racing,” which highlights the accomplishments of Cindi Lux, Lyn St. James, Courtney Force, Betty Burkland and Michelle Miller. In going beyond the museum model, World of Speed offers a series of classes for kids, including car design, racing, fabrication and maintenance. In partnership with local high schools and a college, World of Speed hosts automotive classes for college and high school CTE credits. 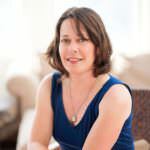 The organization aims to be an educational resource for lifelong learning about the automotive industry, including informing young people about professional opportunities in the industry. Memberships are available, and World of Speed can be rented for private events.